Ransomware, a type of malware which holds your files to ransom by encrypting them and then demanding a ransom for their “release”, i.e. by decryption, is nothing new. Cyber criminals make a lot of money by extorting funds from victims all over the world. 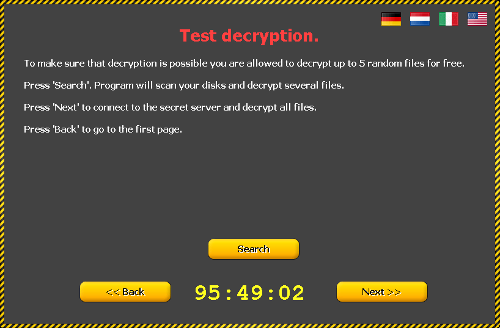 The latest family of widely distributed ransomware is called CTB Locker. In this blog we have decided to provide information about CTB Locker in the form of an FAQ so that our customers and the general public globally may be well-informed about the dangers of this malware family, learn how to avoid it, and be reassured about our robust response to it. How do you prevent your computer from becoming infected by CTB Locker? Let’s begin with this question as it is the most important one to keep your computer safe. Prevention is always better than cure. The initial spreading vector for CTB Locker is a spam email with enticing content which uses social engineering techniques to convince the potential victim to unzip a ZIP archive attachment (extension ‘.zip’) and execute its embedded file. This embedded file, which is currently around 40KB in size, may have misleading extensions such as ‘.scr’ in order to masquerade as a screensaver application. This file is the downloader component for CTB Locker’s main payload, which then does the actual file encryption and makes ransom demands. We urge you to be vigilant against such spam emails as it is very first line of defence against CTB Locker as well as a host of other malware families which also use the same old time-tested technique to spread. If an email comes from an unknown or unexpected source containing an attachment or a website link requesting you to open the attachment or click on the link, please exercise extreme caution. We would suggest simply deleting such emails if they are not already quarantined by your spam filter. 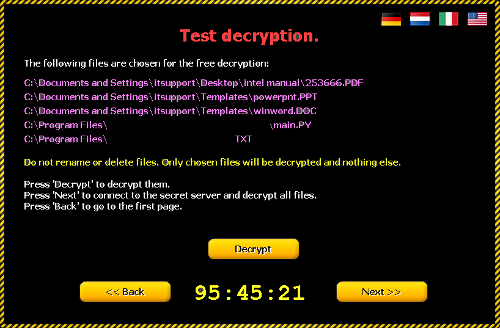 The spam emails tend to be targeted at English-speaking countries and at least 3 European countries given that the malware payload provides its ransom messages in German, Dutch and Italian. This ransomware is not targeted at Indian users per se but given the ubiquitous nature of spam there will be “collateral damage” resulting in not just Indian victims but also many other hapless victims in other non-target countries. What should you do when you discover your computer is infected with CTB Locker? Executable files, e.g. EXE, DLL, OCX, etc, and files with extensions unknown to the malware will not be touched. First and foremost, we would request that you do not attempt to pay the ransom to get your files back. Even if the cyber criminals do actually decrypt your files, the money they get from you will only serve to encourage them to continue their nefarious practices, investing R&D in enhancing their capabilities and global reach. Cyber criminals must be stripped of their Return on Investment incentive to create malware. Is it possible to decrypt files encrypted by CTB Locker? The malware itself demonstrates that files can be decrypted by randomly choosing 5 samples to decrypt. 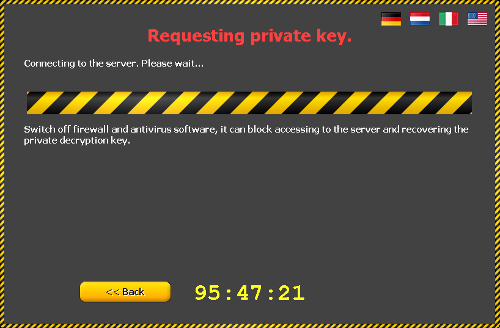 However, the malware uses a high-grade encryption algorithm with a key which is unique to your computer, rendering it effectively impossible to force a decryption en masse. How to restore files encrypted by CTB Locker? It may not be possible to restore all files encrypted by CTB Locker. However, if your Windows operating system supports System Restore it is possible to recover the contents of many of your folders to a recent restore point before the infection took place. The most reliable solution, though, is to restore your critical files from regular backups. If you don’t backup your important files regularly then we urge you to start doing so ASAP. Apart from a CTB Locker infection, there are numerous other factors which could render your files irrecoverable in the future, including a hard disk failure. Note, it may also be possible to use deep forensics tools to recover some critical files if they still exist on sectors on the hard disk, but this is not an alternative to regular backups. We refuse to pay any ransom so we are unable to confirm whether payment will actually result in your files being released. Once again, we would request you to not attempt to pay the ransom for the reasons mentioned earlier. Why did K7 not detect and remove CTB Locker? At K7 Threat Control Lab we are constantly monitoring and acting against CTB Locker infections, including coding robust generic detection for all components of CTB Locker. However, the cyber criminals behind the CTB Locker family have been investing considerable resources in morphing, i.e. changing the appearance of, all their components and spam emails such that they may sometimes be able to get past security scanners, not just K7’s, albeit for a very short period of time. We at K7, and our colleagues at other security companies, are working hard to stay ahead of CTB Locker in order to protect all our customers across the planet. K7 Computing is happy to announce new build for its endpoint security product. Improved Rip and Replace feature for installation over previous security software product. Filter option introduced (with the status of Pending / Dispatched/ Completed)under Task Details to know the task completion on each endpoint. Task status of a client can be viewed by selecting the relevant computer under Clients list. “All Groups” option has been introduced under Group selection UI when you create any new Task. Easily allowing to replicate it to the whole network. K7 Enterprise Security current installations will receive these updates within upcoming days automatically. Erase sensitive data permanently, which you don’t want others to discover. Online monetary transactions protection with anti-screen capture and anti-key logging function. All versions are available for 30 days free trial at: K7 UK Website or K7 Ireland Website. Current installations are updated automatically with regular updates. K7 products have appeared in most of our desktop tests over the last few years, with a decent number of passes. The current version installs in decent time with a reboot required, and presents a tough-looking GUI with a military theme. The layout is simple and clear with good status information and decent controls. Stability was flawless throughout, with no issues noted. Scanning speeds were not bad, and overheads a little high initially but soon became very light. RAM use was around average, CPU use rather low, and our set of activities ran through very quickly. Detection was pretty good in the reactive sets, dropping away a little into the proactive weeks, but there were no issues in the WildList or clean sets and a VB100 award is earned by K7. In a nice gesture, the editor of the acclaimed Virus Bulletin magazine has blogged about the presentation of our reserve speaker duo who were meant to present a paper and a short demo, in the event of an absent speaker at the 2014 Virus Bulletin International Conference held recently in Seattle, USA. VB2014 has already been discussed, highlighting the presentation by K7’s Gregory Panakkal. Nevertheless, this post is dedicated to the reserve speakers from K7 Threat Control Lab, Samir Mody, Senior Manager and V.Dhanalakshmi, Senior Threat Researcher. uninstalling it. It also proposes a new framework which Google could induct to help mobile security vendors defeat Android malware strategies. View the full presentation and demo at K7 YouTube channel. A thus far undisclosed, potentially serious security flaw has been discovered on eBay according to BBC News. Hackers were apparently successful in exploiting a weakness on eBay’s website that enabled them to multi-redirect customers, via a landing page listing iPhones, to phishing pages purporting to be those of eBay so as to steal their login credentials. Unfortunately is it likely that several users would have been duped into surrendering their credentials, thus handing over control of their accounts to the bad guys. However, K7 users would have been protected since one of the redirector URLs was blocked by the malicious URL-blocking feature which has the overall effect of nullifying the multi-step redirector chain and protecting users. From the user’s side it’s difficult to differentiate between legit redirection and non-legit redirection so this is best left to the site blockers in internet security products such as K7 Total Security. In addition to that we also found directory listing and outdated plugins (such as JWplayer) on the destination website to which users were being redirected. Based on website fingerprinting, it seems websites hosting the phishing pages were almost certainly compromised by the attackers to hide their tracks. The phishing pages have now been removed, but the domains are still live and we aren’t sure whether the core vulnerability which allowed the hackers in in the first place has been patched. In other words the webserver may be vulnerable to being hacked once more. At the time of writing this blog we are unsure whether the cross-site scripting (XSS) flaw exists in other eBay item listings which may or may not be currently in the process of being maliciously exploited. Given the popularity of a site such as eBay, the impact of such an attack can be far reaching and varied; it is possible to leverage redirections to deliver malware via drive-by-download attacks. The question which pops up is, “Was this just a phishing attack ? ?” It could have been much much more damaging. 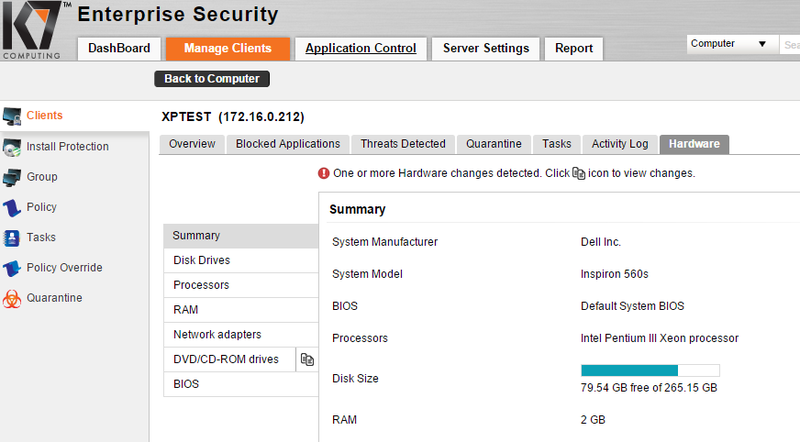 K7 Computing is happy to announce latest version 2.5 of K7 Enterprise Security. New upgrades and improvements in compatibility with Windows Server operating systems K7 Enterprise Security and K7 Enterprise Antivirus are all types of Microsoft Server OS using now only one installation file to deploy K7 security console and endpoints. Activity Log – The recent update and scan status of a computer can be viewed from Clients » Computer Details. Notification (email & Dashboard) for schedule scan interruption. Enhancements on Task Details – Scan Summary and Update Summary added. Purging introduced to remove Not Reported computers, older Applications & Tasks automatically. Subnet search on Clients filter. Subscription expiry notification through email and Dashboard (Paid License: 30 days, 15 days & 3 days interval, 30 days Trial License: 15 days, 10 days & 3 days). Multiple selections now allowed to remove the Quarantined files, if the files are not required. Client’s computers list can be exported as a Report. K7 Computing has released new version 14.2 of it’s home edition antivirus products K7 Antivirus Plus, K7 Total Security and K7 Ultimate Security. New improvement includes faster scanning speed and easier integration with new Windows 8.1 operating system. This was a challenging task for K7 developers, due to the remarkable K7 speeds in previous versions. Products also received improved scan of other AV products prior installation with option to automatically uninstall them. This prevents possible conflicts and system performance and instability problems. K7 Computing released the latest build for K7 antivirus home edition products with enhanced features and support for the latest Windows 8.1 operating system. New build version of K7 Ultimate Security, K7 Total Security and K7 Antivirus plus version 13.1.0205 onwards is delivered to K7 users via regular update.